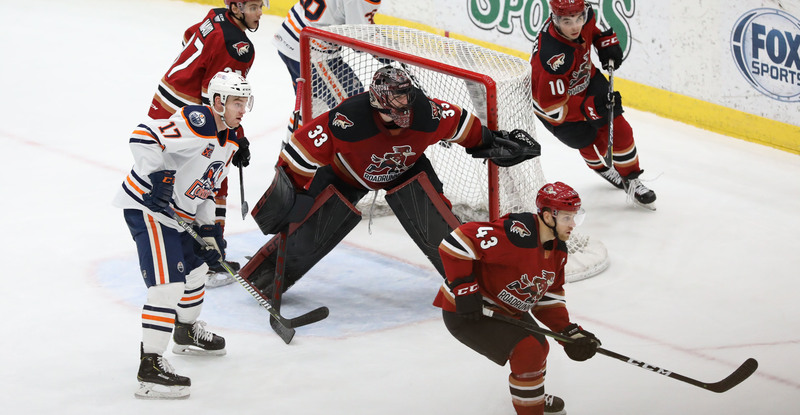 The Roadrunners’ three-game win streak was snapped in a 3-1 loss to the Bakersfield Condors Friday night at Tucson Arena. 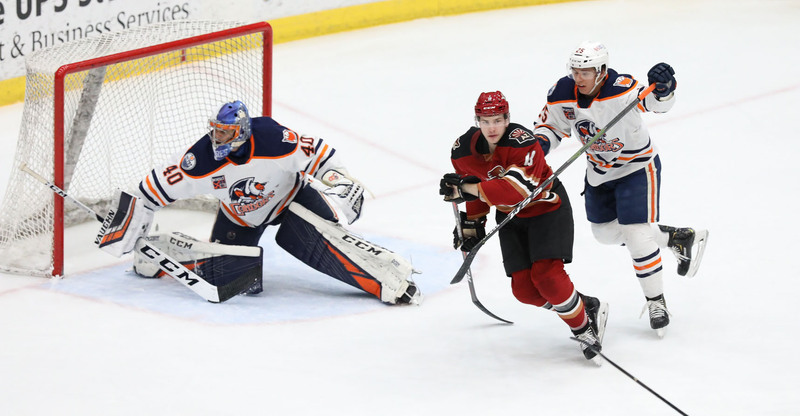 It served as Tucson’s first defeat at the hands of the Condors this season after winning each of its first three match-ups against its division counterpart. With the victory, the Condors extended their win streak to seven games, currently standing as not only the hottest team in the Pacific Division, but in the entire American Hockey League. The Roadrunners were the first team to find the back of the net, doing so with just under four minutes left in the first period when Giovanni Fiore buried his ninth goal of the season as he stood open in front of Bakersfield’s net after David Ullstrom caused the Condors to cough up the puck while attempting to clear their own zone. For Fiore, it was his third goal in a Roadrunners uniform; he now has six points (3G, 3A) in 11 games since coming over from Anaheim in a trade. Less than three minutes into the second period, Bakersfield struck to tie the game 1-1, Mitch Callahan’s shot deflecting off of Jordan Gross and past Adin Hill. Hill’s shutout streak was snapped at 147:06, the third longest of his career. Minutes later, the Condors would take a 2-1 lead, before upping their lead to 3-1 with 8:11 left to play in regulation. Hill stopped 20 of the 23 shots he faced, suffering his third loss of the season. The teams will meet again on Saturday afternoon at Tucson Arena, where the puck is scheduled to drop just after 3:05 PM.